Our Technical Knowledge Combined With Quality Spares Is Our Guarantee For Customer Satisfaction. 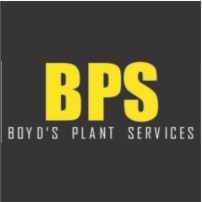 Boyd’s Plant Services was started in 1994 by Boyd Wordsworth who has over 30 years experience with JCB. We specialise in JCB gearbox repairs as well as quality new and used spares. Tags: Bushes; Pins; Air Filters; Fuel Filters; Hydraulic Filters; Oil Filters; Lift Pumps; JCB; Repairs; Gearboxes.